Classic Arcade Pinball Museum co-owner Dave Alverson plays "America's Most Haunted," his favorite machine — and one of the hardest — in the museum. Photo by Emily Crisman /Times Free Press. The first time it happened, LaGuardia was to blame. Not the New York City airport, but the city's former mayor — who took it upon himself to rid NYC of the danger to society known as pinball. The machines were often used as gambling devices, and LaGuardia felt they were depriving youngsters of their lunch money. So he led the charge in banning pinball in the city, where it was prohibited from 1942 up till the late '70s. Then, video games dealt a blow. As their popularity rose in arcades, that of pinball declined, and the advent of home video game consoles later killed the market entirely — until recently. The Classic Arcade Pinball Museum has about 40 playable machines built between the 1930s and 2016. 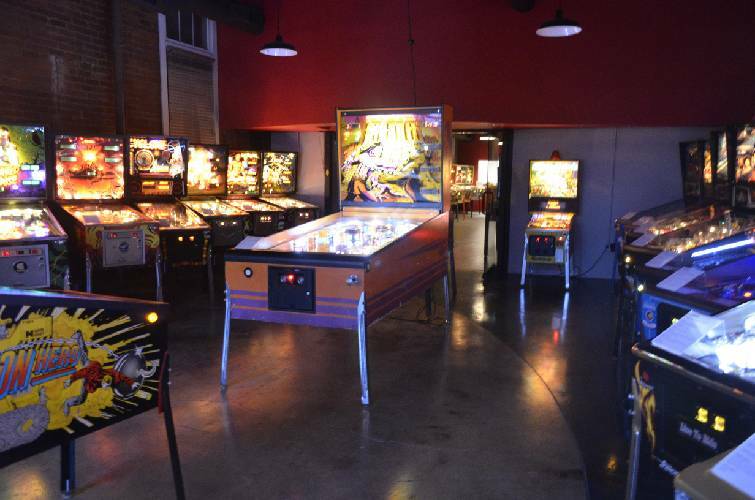 Pinball is resurging in popularity, and Chattanooga is on top of the trend. At the Classic Arcade Pinball Museum, which opened Feb. 8 on Broad Street, patrons can play just shy of 40 classic pinball machines produced between the 1930s and 2016. Over the past year, co-owners Dave Alverson and Michael Rowland have traveled the country purchasing the machines from private collections, where most ended up when arcades started closing down. Alverson, who also works full time as an engineer for TVA, said he has personally repaired each one. He's been playing since he was a kid, and his first job was as a technician at the arcade at Eastgate Mall. 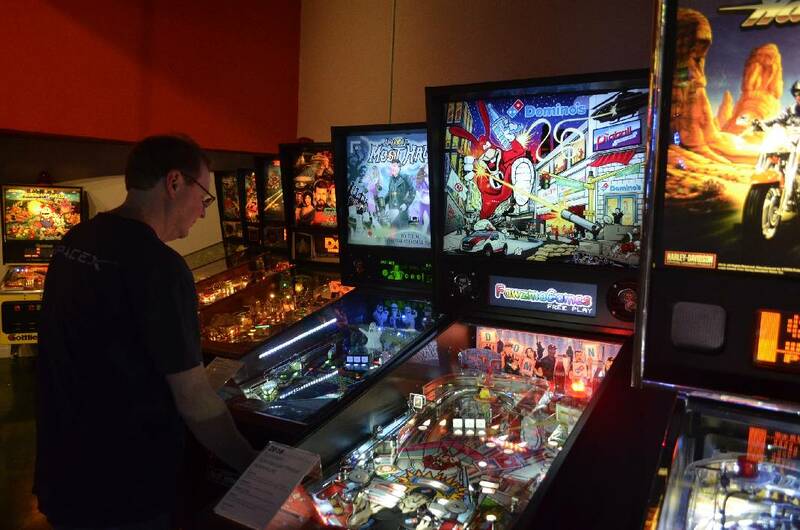 "I had kind of forgotten about pinball over the years," Alverson said. That changed last year, when he took his 8-year-old son on a spring break trip to Asheville, North Carolina, and visited the Asheville Pinball Museum. He loved the concept and felt Chattanooga, which has a similar downtown vibe to Asheville, would be a good place to open something similar. Rowland, who also owns Escape Experience Chattanooga, agreed. The two met at ChattLab, a makerspace in the Business Development Center. "This concept is popping up in a bunch of cities," Rowland said of pinball museums, naming Gatlinburg, Las Vegas, Seattle and Roanoke, Virginia, as a few examples. There's a limited supply of these machines in good condition, he said, and they've snapped up several dozen. Their finds include "Hercules," which at 83-by-93 inches, with an 18-square-foot playfield, is the largest machine (other than just a prototype) ever made. The museum's is one of very few in existence that's in working condition, said Alverson. They have several machines by the company Spooky Pinball, including a Domino's branded one and "America's Most Haunted," a spoof on the haunting shows shown on cable TV. The latter is Alverson's favorite due to its complicated nature. Less than 150 of each were produced — a very small number, especially compared to the more than 20,000 machines produced of "The Addams Family" game, the most popular pinball machine of all time and a customer favorite at the museum, Alverson said. "Orbitor," a machine from 1982, is also rarely found in playable condition. The "Humpty Dumpty" from 1942, one of the museum's oldest machines, was the first to feature electric flippers, said Alverson, and "Gorgar," from 1979, was the first machine that spoke. Patrons can play them all, plus a few classic video arcade games, for one price: $15 a day or $8 an hour for adults, and $12 a day or $6 an hour for kids. The family-friendly museum currently sells soft drinks and snacks, and may add bottled beer in the future, Alverson said. Currently the museum is open only on weekends, though the owners plan to start opening on weekdays soon. The space is also available to rent for private parties. Classic Arcade Pinball Museum is at 409 Broad St. and can be reached at 356-3259. For more information and hours, visit chattanoogapinballmuseum.com.